“Silk Road” he said could not be “one-way”. 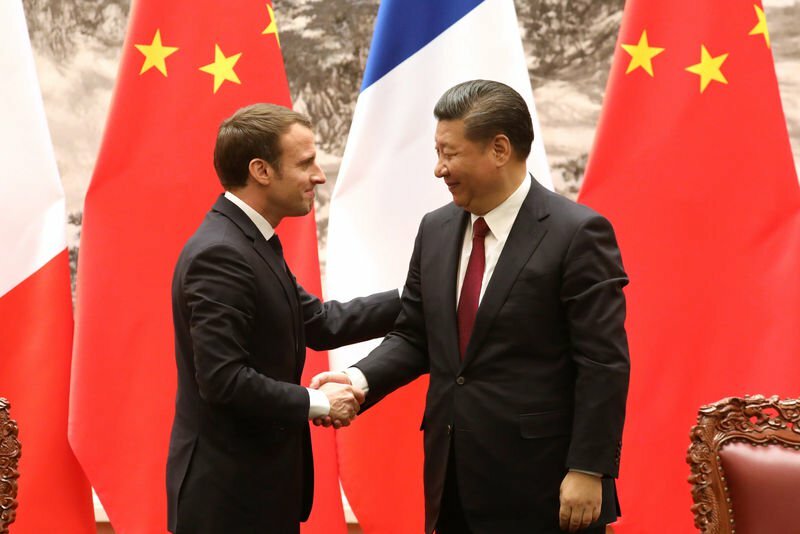 Macron, who pledged to visit China at least once every year during his mandate, said the new infrastructure and cultural projects promoted by China could also be in France’s and Europe’s interest if done in a spirit of cooperation. “These roads cannot be those of a new hegemony, which would transform those that they cross into vassals,” Macron said. British Finance Minister Philip Hammond said in December Britain, which is quitting the European Union, wanted closer cooperation with China over the Belt and Road scheme. Macron, 40, has said Europe should not be “naive” in its trade relations, pushing in Brussels for more stringent anti-dumping rules against imports of cheap Chinese steel. In June, he urged the European Commission to build a system for screening investments in strategic sectors from outside the bloc, which drew criticism from Beijing. Europe was now united and ready to cooperate with China after years of crisis-management and economic stagnation, Macron said. “What I came to tell you, is that Europe is back,” he added. Reporting by Michel Rose; Editing by Paul Tait and Robin Pomeroy Our Standards:The Thomson Reuters Trust Principles.